The safety and security equipments are industry grade. Fire alarm systems, toxic gas, combustible gas detectors can be explosion proof. 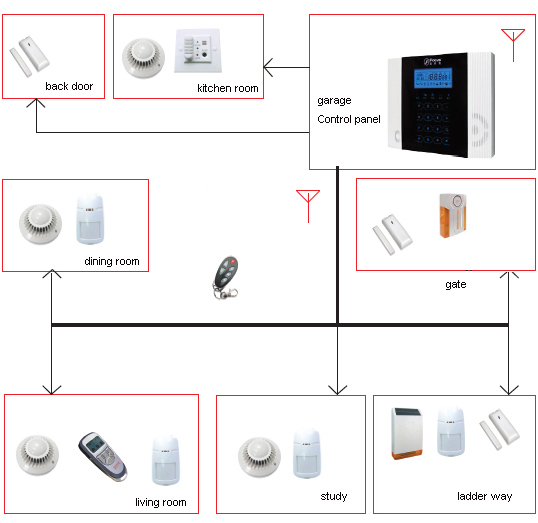 Integration of fire alarm, intruder alarm, CCTV surveillance for enterprise security, community security, building security. We support security project contractor and engineers with their contract. We help make security solution. Free technical supports for installing and setting up the security system. Provide product datasheet, installing manual. Oil field fire security project used Explosion Proof Heat detector, Smoke detector, H2 detector, HC detector, H2S detector and electronic sounder and addressable fire alarm control panel, coder, input / output module. Perimeter security is major part of protection areas included in villa security system. 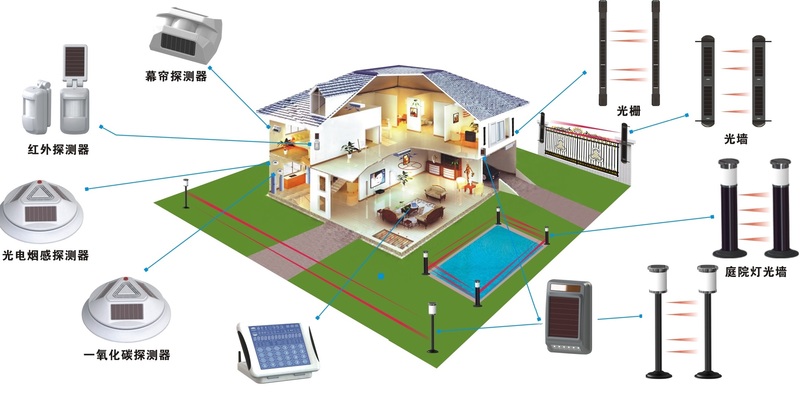 Wireless solar beams and exterior intrusion detectors are used for protection of open areas. An example of Villa security interior part alarm accessories. The protection areas include dining room, living room, study, ladder way, kitchen room, garage etc. 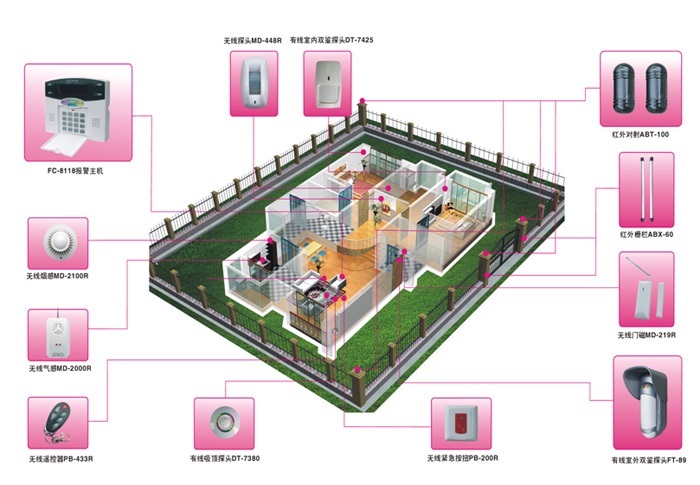 Specified alarm accessory such as PIR and MW detector, pet immunity motion sensor, outdoor PIR etc. are installed for specified securityi requirement. The new innovated EAVS security control panel is highly integrated security system. The new security device is with multiple functions of alarm control panel, video surveillance and IE explorer monitor, NVR cloud driver. The device can equip with wireless or wired and bus type intruder detectors, fire detection systems and control house appliance in smart home. 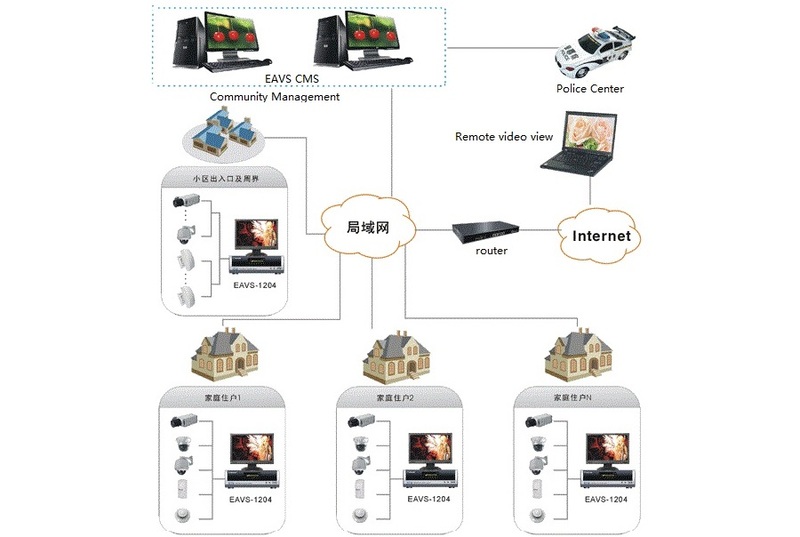 It can connect 4-16 digital security cameras for surveillance of important areas. It sends security events to email, smart phone app promption and text, voice to phone. With this integrated security device, security service monitoring is easy. An effective campus security solution and security system becomes the concern to decrease security incidents at school. 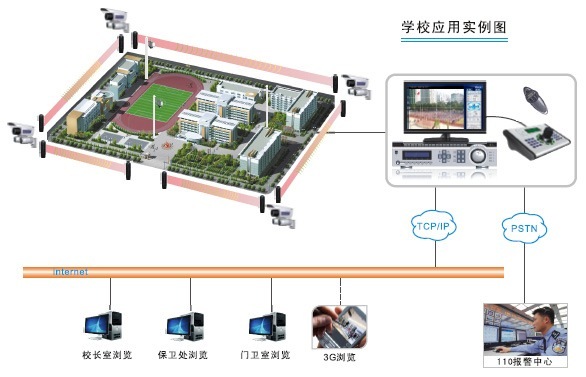 Integrated security equipment is the modern and advanced technology campus security solution. Integrated Security Centra unit enable fast sending of alarm events via multiple chanels. The campus incidents can be quickly acknowledged and treated by security service persons. Community security is major part of city security. The high population density apartment, business block etc. 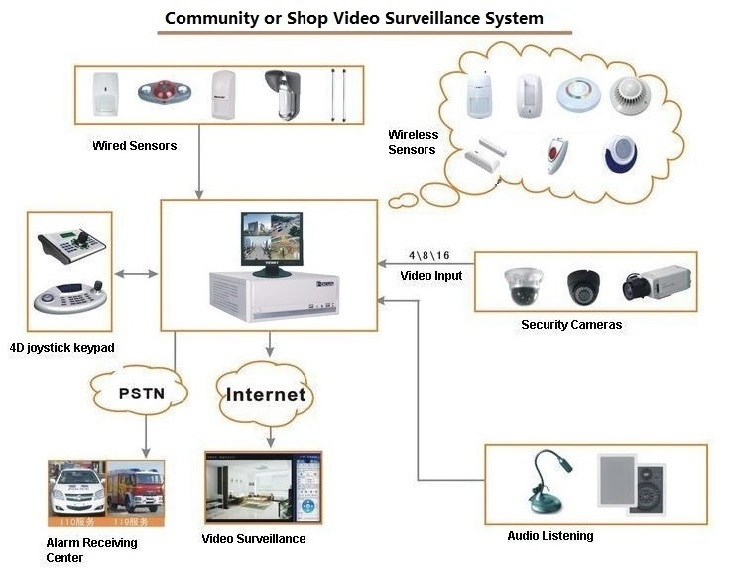 community needs security monitoring service. These areas are with features of high population density and limitless coming in and out. 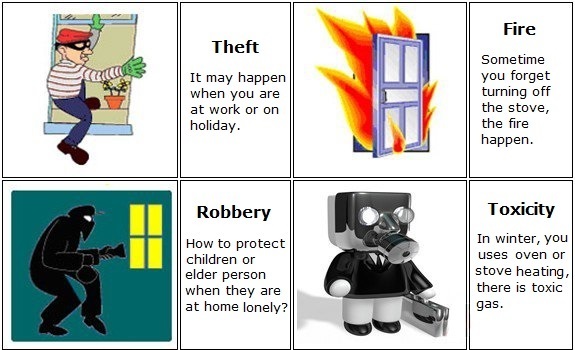 It gives thieves and robbers chance for crime. According to police center, more than 60% robbery happened in community. With strict community security solution, most robbery can be found and stopped or detected. According to home safety incidents report of first half year 2016, home fire accounted for the largest proportion. The fire department statistic showed 63881 fire incidents and 754 death in the country. Asphyxia burning is the main cause of death from residential fire. It accounted for 68%. Improperly using stove and wiring house appliance is the main reason for residential fire. Intrusion safety incidents accounted for second majority proportion and there is increasing trend. No a security solution can meet all requirement. We offer custom-tailored flexible security solution.